The Spanish property market continues to perform strongly overall, according to the findings, with local demand and foreign demand nearly neck and neck. The famous holiday resorts of the Costa del Sol and Costa Blanca remain particularly popular among overseas buyers, with figures from the Association of Spanish Land Registrars revealing that foreign purchasers now account for nearly 13% of Spanish property purchases. 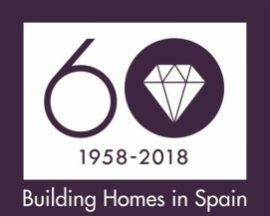 “Foreign buyers play an important role in the Spanish property market,” Marc Pritchard, sales and marketing director of Taylor Wimpey España, said. Overall, foreign buyers purchased 17,338 properties in Spain in the second quarter of 2018, with 2,590 of these purchases made by British buyers. The next biggest group of overseas buyers were the French, who bought 1,315 Spanish homes. Typically, tourism numbers and overseas buyers purchasing Spanish property tend to be interlinked, with people holidaying in the country first before later deciding to buy a home there. Data from the Spanish National Institute of Statistics (INE) recently revealed that in the first nine months of 2018, 66.2 million foreign tourists visited Spain, spending 2.5% more than in the same period of 2017.